Provide comfort for the family of Ilse Ponto with a meaningful gesture of sympathy. MOM - You loved everyone and everyone loved you. We will miss you greatly. 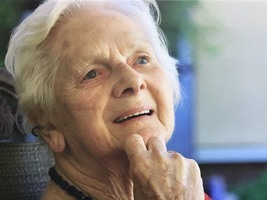 To send flowers in memory of Ilse Gunhild Ponto (Von Doeler), please visit our Heartfelt Sympathies Store. Donations are being accepted for: ALZHEIMER SOCIETY OF MUSKOKA. We encourage you to share your most beloved memories of Ilse here, so that the family and other loved ones can always see it. You can upload cherished photographs, or share your favorite stories, and can even comment on those shared by others. Chris, Ruth and Family sent flowers to the family of Ilse Gunhild Ponto (Von Doeler). To the family Please accept our condolences. May your family find comfort through our loving Heavenly Father. He has a longing to conquer the enemy death and to undo its effects by means of the resurrection. He wants to bring back those who are in his memory and to see them live on earth again.​—Job 14:14, 15. Royce and Carol: know that we are all thinking of you and sending hugs to you during this difficult time. Love from Auntie Ada, Gary & Margaret, Lynn & Al, Bev & Vic, Bonnie & Trevor, Allan & Karen, Debbie & Dale. 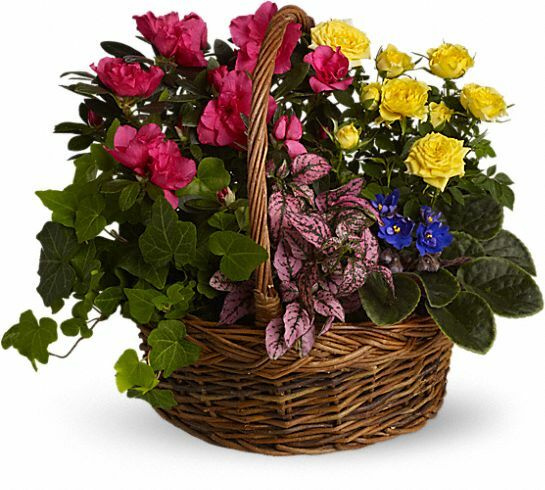 Chris, Ruth and Family purchased the Blooming Garden Basket for the family of Ilse Ponto.